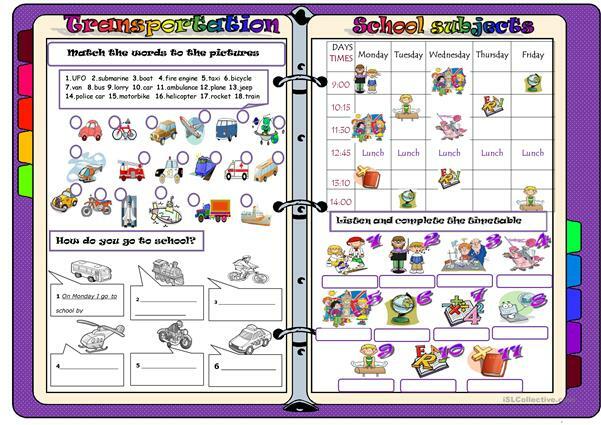 A worksheet about school sujects , transportation and also times. 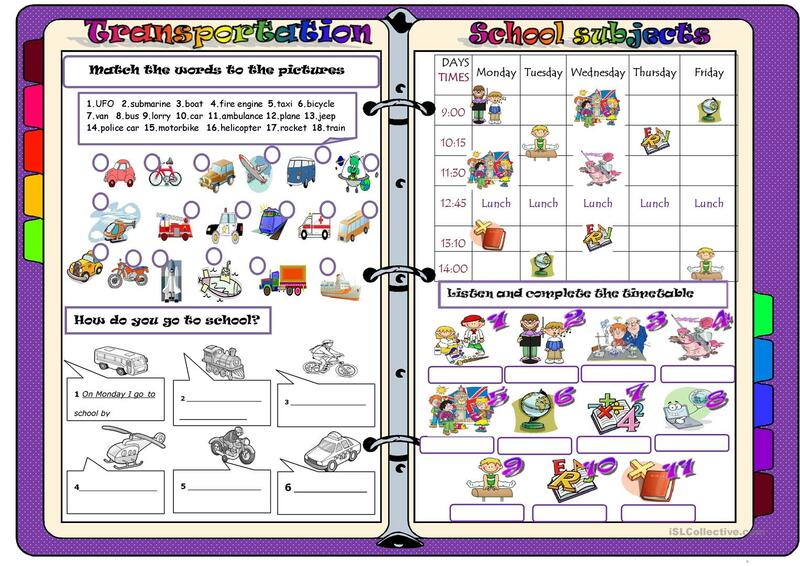 This downloadable printable is best suited for high school students and elementary school students at Elementary (A1), Pre-intermediate (A2), Intermediate (B1) and Upper-intermediate (B2) level. It is great for revising Nouns in English, and can be used for improving your learners' Listening and Writing skills. It focuses on the topic and words of School.